What is Gravit Designer ? Gravit Designer is a vector graphic design solution created for graphic designers, product designers, and website designers. This software offers a suite of powerful tools to help users unleash their creativity when it comes to designing detailed and appealing vector images. It includes a wide variety of editing tools for styles, texts, vectors, structures, and much more. Gravit Designer can help transform your simple works into incredibly amazing outputs using its UI design, graphics, and icons to create robust marketing tools, concepts, presentations, animations, and arts. Apart from that, this cross-platform solution is free for all users and it is operational in two ways – in-browser and as a desktop app – using Linux, Mac, Chrome OS, and Windows devices. 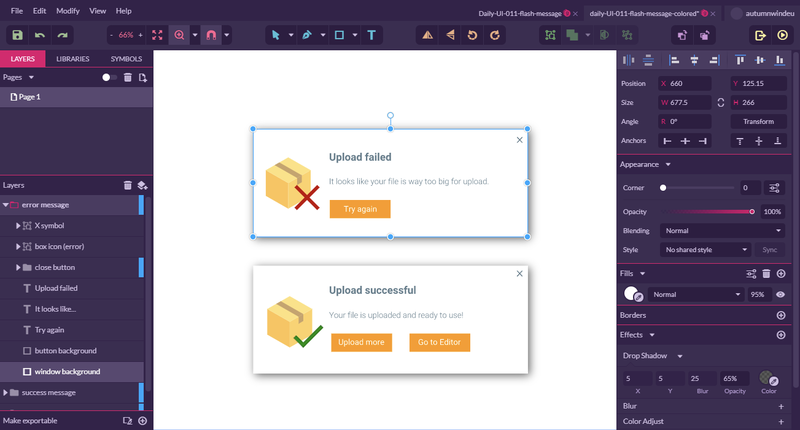 The main benefits of Gravit Designer are its free software, advanced and intuitive dashboard, customizable interface, drag-and-drop functionality, and advanced editing tools. What is good about Gravit Designer is that aside from being free, it offers a set of helpful features and tools that can match other solutions on its class. Among its remarkable features is the SVG editing tool that offers users unparalleled precision. Knife and tool support are also available for non-destructive Boolean, which makes it great for UI design. Its advanced and supportive dashboard allows its users to freely set the width and height of their documents. Also, there is an option that lets users leave this field empty so they can have a reference of the ideal dimension of their designs. Furthermore, its welcome screen has predefined dimensions, including 19 pre-set dimensions for printing, 15 dimensions for social media covers and contents, 8 dimensions for website designing, 7 dimensions for tablets, and 6 dimensions for phones and watches. With this platform, users of all levels can effectively create a design they need for their brands. The highly customizable, intuitive, and clean interface of this software allows users to seamlessly navigate and explore Gravit Designer. The interface lets users open multiple documents and access them easily on the tab displayed on the on the right corner. On the left side above, there are three visible tabs for libraries, tutorials, and layers. The library tab provides a comprehensive set of drag-and-drop tools. The tutorial tab offers users guidance when using the platform for the first time. Lastly, the layer tab shows your list of open layers and pages.